“They were willing to denuke a large portion of the areas that we wanted, but we couldn’t give up all the sanctions for that,” he told reporters. 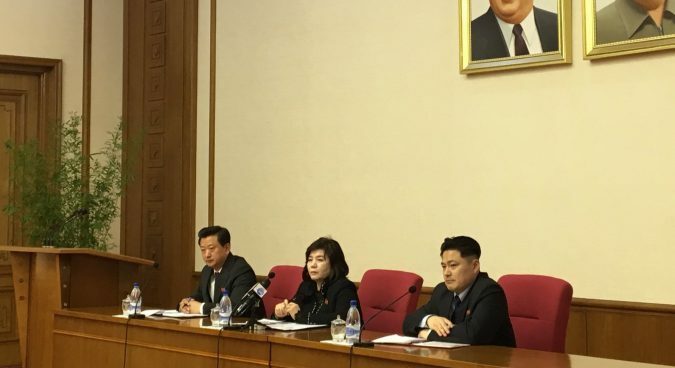 In the account provided by Choe on March 15, however, the DPRK vice foreign minister said that Pyongyang only wanted specific changes, reinforcing comments she made in Hanoi at a hastily organized midnight press conference on February 28. “This time we only asked U.S. not (for) entire but to lift partial sanctions related (to the) economy and people’s standards of living from the UNSC Resolution No. 2371, 2375, 2270, 2321, 2397, which have been adopted since 2016,” she said, according to the translated transcript. And the logic for such sanctions relief, Choe said, is framed in the language of multiple UNSC resolutions. “Each resolution contains a paragraph saying sanctions can be strengthened, modified, suspended or lifted in the light of DPRK’s compliance,” she explained. “We have suspended nuclear tests (and) ICBM launches for 15 months,” she said, suggesting there was therefore no reason for those resolutions to exist. Choe also said that Kim Jong Un had gone to Hanoi to discuss denuclearization against the wishes of many key domestic constituents. “Honestly, our army, people and workers and officials of (the) munitions industry are sending thousands of petitions to our Supreme Leadership not to abandon nuclear weapons at any cost,” the vice foreign minister said, according to the translated transcript. Her statement, notably, matches what NK News understands to have been a key topic of discussion between Kim Jong Un and Trump at a dinner at the Hanoi Metropole Hotel on the eve of the summit. Instead of talking about denuclearization or the Yongbyon facilities, Kim Jong Un focused conversation at the dinner on informing Trump about domestic criticism and displeasure he was facing at home for his decision to travel to Hanoi, a source familiar with the conversation said. NK News understands from the source that it is common for the DPRK to present hard and softline perspectives in high-level bilateral talks with the U.S., in order to try and secure a modest negotiation advantage. “I got to know that it was very difficult to make out one or two pages of document between the U.S., which has seven decades of hostility,” she said. While a handful of foreign media participated in the March 15 press briefing alongside resident diplomats, one vector of media coverage for Choe’s remarks was conspicuously absent, NK Pro analyst Minyoung Lee said. “We should pay attention to how the messaging was done: not even external outlets like KCNA reported on the news conference (just like the withdrawal from the inter-Korean liaison office),” she said. The selective approach to covering the press conference, therefore, implied a calibrated approach. That “low-key handling” would track with “how carefully Pyongyang has dealt with the nuclear issue since the collapse of the Hanoi summit,” she continued. 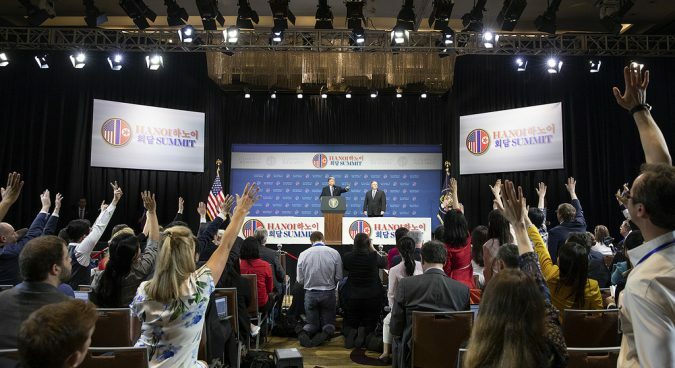 Notably, NK News understands from multiple sources that numerous North Korean nationals working as local embassy interpreters were unusually also invited to the press briefing. Such were the numbers of interpreters present that only Ambassadors and mission leaders could participate in the briefing, with no space available for junior or mid-ranking diplomats. 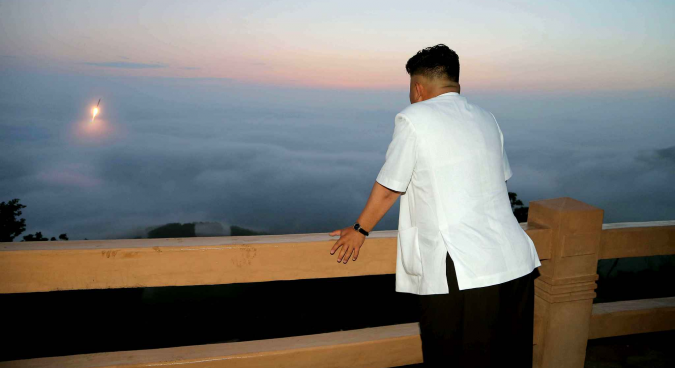 The unusual move could be linked to efforts by Pyongyang to increase local understanding of why the Vietnam summit ended without a result, without the necessary state media coverage that would typically accompany it.